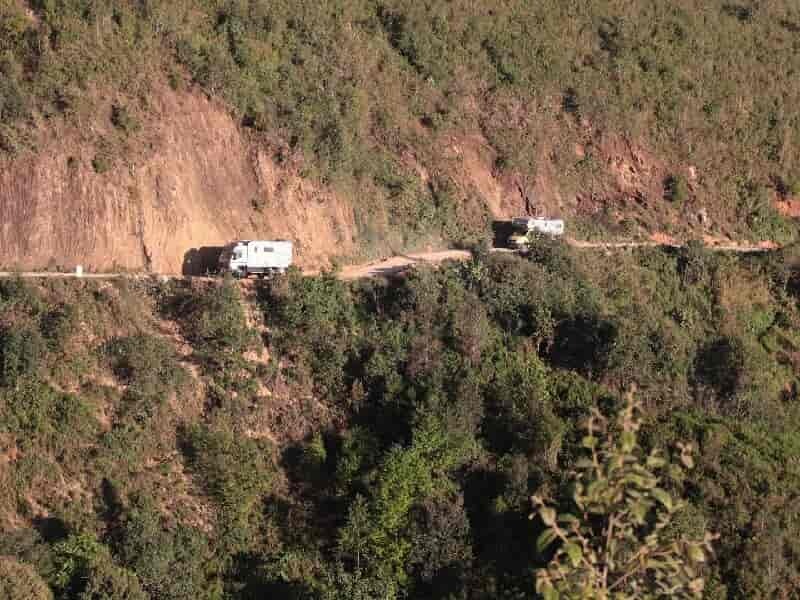 On this Myanmar Self Drive Tour, Asia Senses Travel will assist you to submit the permission for your Myanmar border crossing tour. Along the way, our professional guide will provide you best services and give you information about historical and cultural sites of Burma. 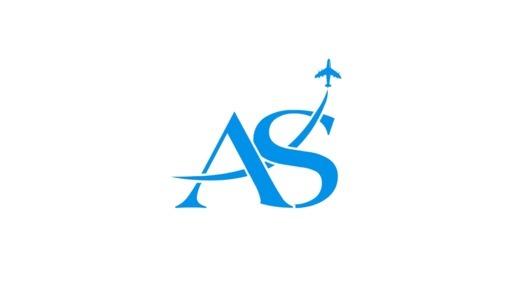 Our Asia Senses guide and driver will wait for you at Tamu – Moreh border check-point to help you with necessary documents as well as represent you the border crossing formalities and procedures at check-point authority’s counters. After a few minutes break, we will head to Kalaymyo. Drive through curvy, twisty mountain roads, enjoy the landscapes on the way. 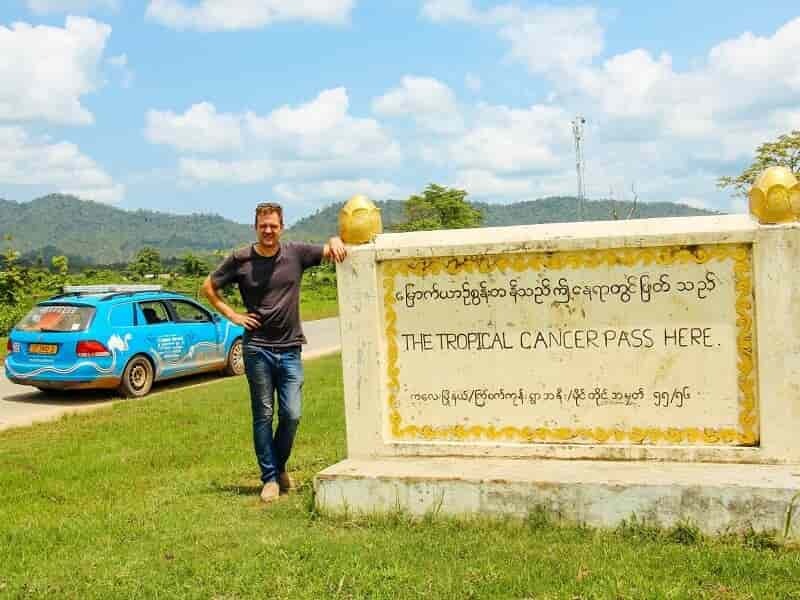 Stop en route to visit local villages in the outskirt of Kalaymyo. Arrive in Kalaymyo in the late afternoon. In the evening, stroll through the town, enjoy your first dinner with Myanmar beer. Overnight at the hotel in Kalay. Overnight in Kalaymyo at the Majesty Hotel Kalaymyo. After breakfast, we will drive from Kalay to Monywa via the picturesque Gangaw road. It takes around 9 hour drive to reach our today’s destination. We will have lunch on the way. We arrive Monywa at late afternoon. Free at leisure. Overnight at hotel in Monywa. Overnight at the Win Unity Hotel in Monywa. This morning, we take a visit to the colourful Thanboddhay Pagoda which is home to more than 500,000 images of Buddha and the Hiaungdawmu Buddha, the second largest reclining Buddha in Burma. Then, we continue drive to Bagan, one of most famous tourist destinations in Myanmar via Pakokku. Bagan is no doubt one of the most impressive sites in Burma. Upon arrival Bagan, check in hotel, take a short break. Then we will take a visit to Shwezigon Pagoda (golden sandbank), Bagan’s greatest reliquary, an ancient temple complex that set the style of Burmese pagodas for a thousand years. After that, we head to Ananda Temple which is considered to be one of the most surviving masterpiece of the Mon architecture. Also known as the finest, largest, best preserved and most revered of the Bagan temples. In the late afternoon, visit Taung Guni, a perfect spot to enjoy a magnificent sunset in Bagan. Note: Due to the high number of tourists flocking to Shwesandaw Pagoda for sunset, this popular site is no longer possible to climb up for sunset views. 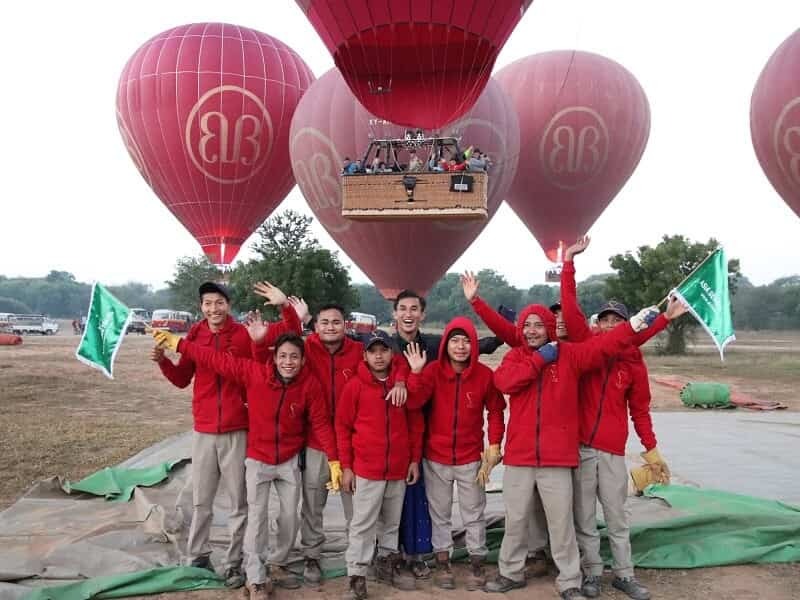 We will find alternative option for those still wishing to see sunset in Bagan over the myriad of pagodas and temples from height. Overnight at the Zfreeti Hotel in Bagan. 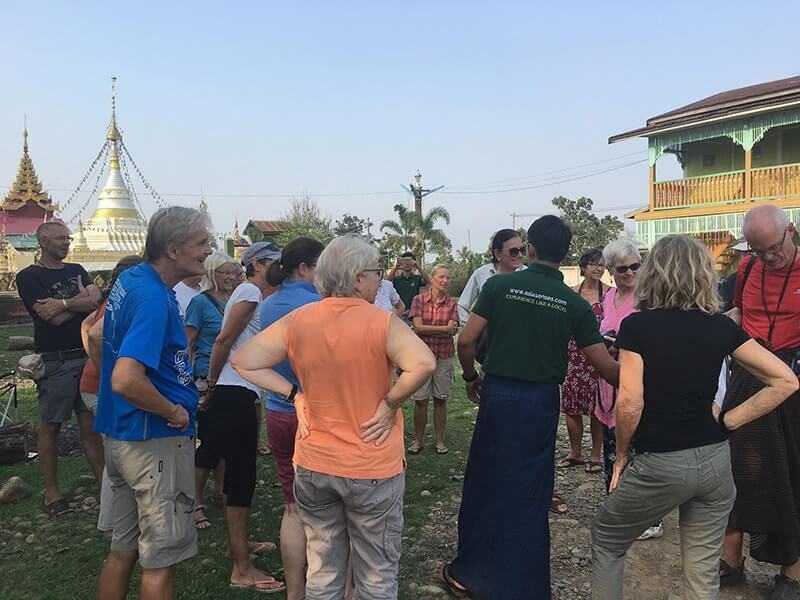 We begin our sightseeing tour by visiting Nyaung Oo Morning Market which offers a colourful display of fruit, vegetables, flowers, fish and textiles. Morning time is the best time to visit market, you would see it at its liveliest and ways of life of local people. Then, we move to visit Thatbyinnyu Temple - the tallest temples of all monuments in Bagan; 61m high overlooking the Bagan scene. We continue to visit Dhammayangyi Temple - one of massive temples in Bagan. It was built in 12th century by Narathu King. It is infamous for its mysterious, bricked-up inner passageways and cruel history. Afterwards, take a break then have lunch (at your own account) at the local restaurant. In the afternoon, we will drive Myinkabar Village to visit a lacquerware workshop - one of Myanmar's most treasured handicrafts. Then continue to explore Manuha Temple, which built in the Mon style in 1059 and follow on to Nanbaya Temple, a unique sandstone monument said to have been the palace of King Manuha. Next, we drive to visit Gu Byauk Gyi Temple, a Mon-style temple renowned for well-preserved frescoes on its interior walls, the oldest original paintings to be found in Bagan. Then take a visit Nat Hlaung Kyaung Temple and Bu Paya Pagoda. 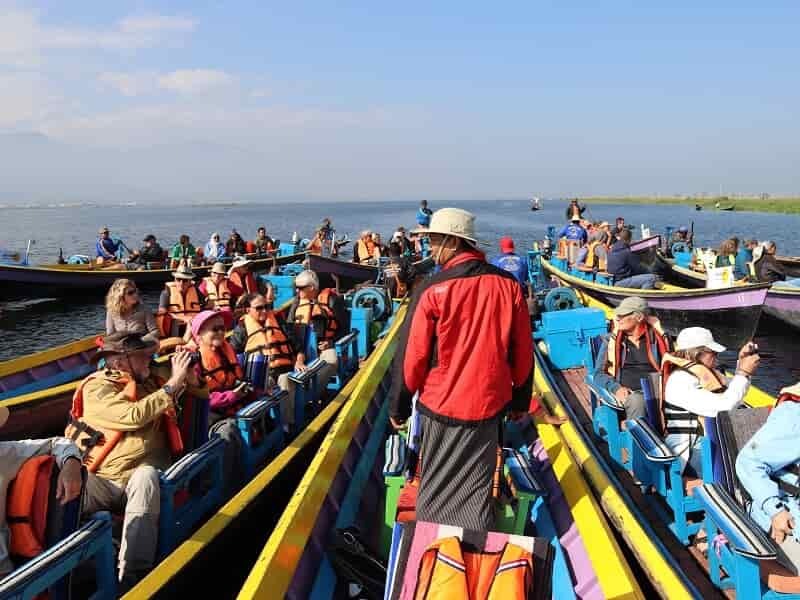 Enjoy the sunset over the Ayeyarwaddy river on boat. Today, we will head to Naypyidaw. 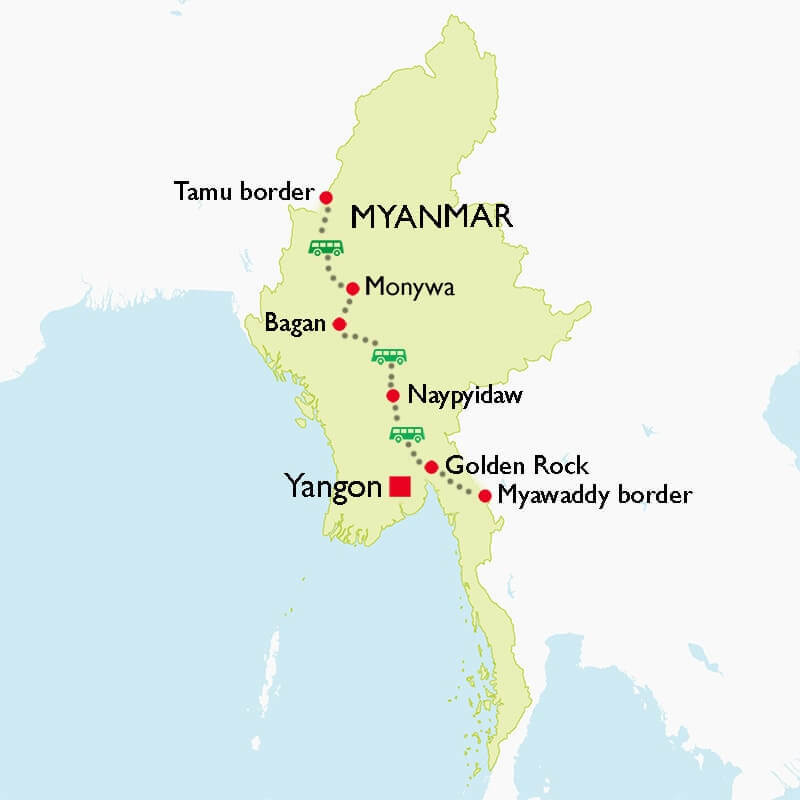 It takes about five and half hours (280km) to drive from Bagan to Naypyidaw. On the way, we stop to visit a palm tree workshop, see how villagers get juice from palm tree, make candy, wine from palm juice. Have lunch at local restaurant along the way. Upon arrival Naypyidaw capital, we will visit Uppatasanti Pagoda. Then drive to your hotel for check in. The rest of the day is spent at leisure. Overnight at hotel in Naypyidaw. 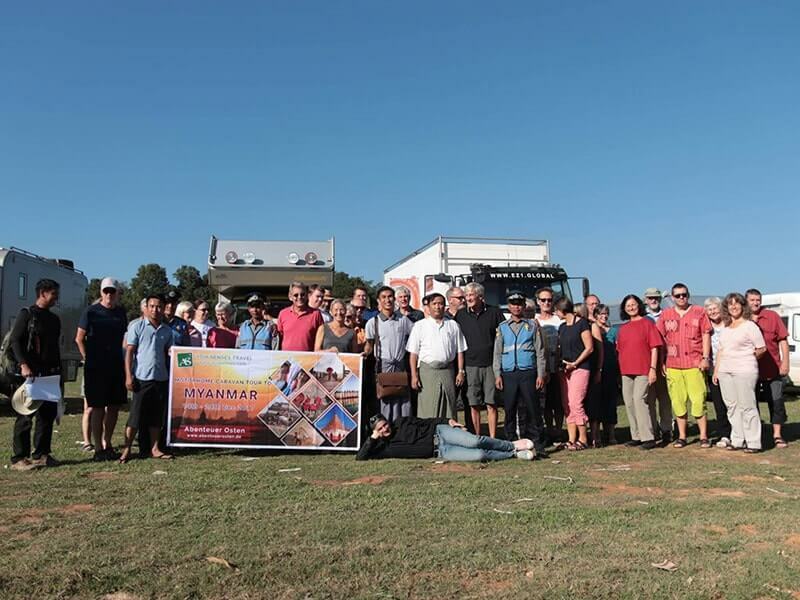 Overnight at the Mann Myanmar Hotel in Naypyidaw. After breakfast, we head to Kyaikhtiyo, also called the Golden Rock, one of Burma’s most sacred Buddhist sites. A massive boulder on the edge of a cliff with a pagoda on top of it enshrining a hair of the Buddha is an important pilgrimage site for Burmese Buddhists. It takes seven hours for us to drive from Naypyidaw to Golden Rock. Have lunch at local restaurant along the way. Arrive Kyaikhtiyo (Golden Rock) in the late afternoon, check in hotel, free at leisure. Overnight at hotel in Kyaikhtiyo (Golden Rock). Overnight at Eternity Hotel in Kyaikhtiyo (Golden Rock). 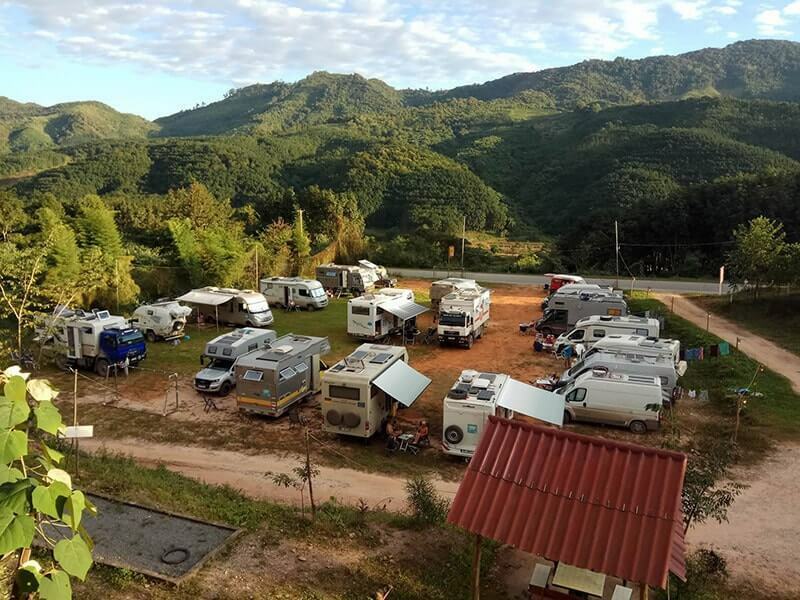 This morning, we check out then take a visit to Golden Rock, from the base camp (Kinpun Sakan), travel by local, open-air truck along a winding road (45 minutes) to the top of mountain. Note: You should take only light backpack and sandals to visit pagoda. Our guide will tell you the legend of the Golden Rock. The huge gold-leafed boulder balances precariously above you on the edge of a cliff. 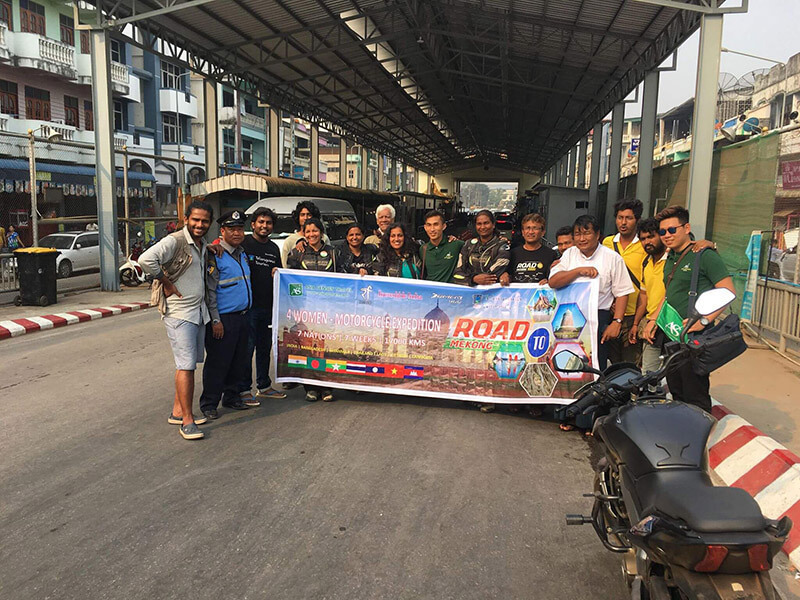 We continue drive to Myawaddy - Maesot border check-point via Hpa An to leave Myanmar (Burma) for Thailand.